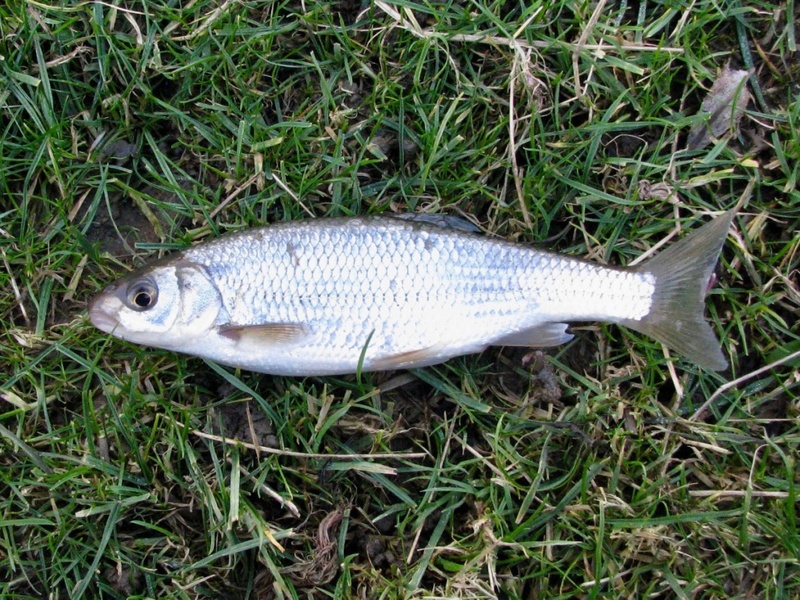 A small, slim-bodied fish (usually less than 8 ounces in weight), with small head and mouth. 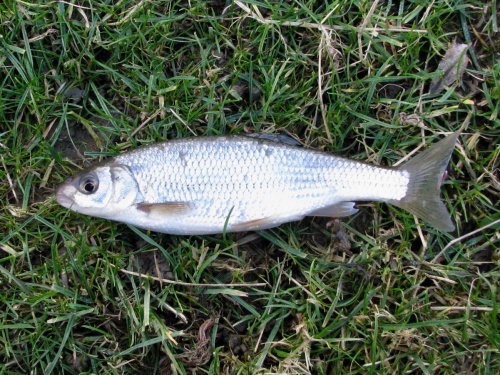 Silver flanks, white under body, dark back. Fins grey, occasionally dirty yellow. Lifespan 6 to 12 years. This species tends to shoal in large numbers. Widespread in most of England except the far south west, but less common in Scotland and western Wales.